Soccerway is one of our longstanding favourite online football databases with superb worldwide football coverage. 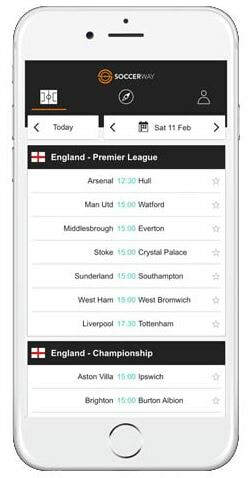 ​It is a market leader with its brand reaching some 5 million football fans with the latest scores, fixtures, tables and results from over 1,000 leagues and cup competitions from over 135 countries worldwide – from Afghanistan to Zimbabwe. In turn, the platform has some 78 million monthly page views and has over 870,000 followers across social media. 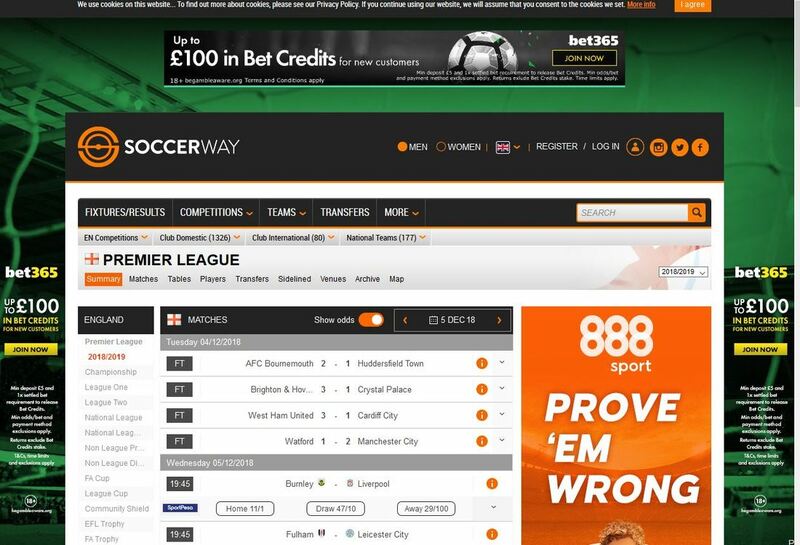 ​Soccerway’s primary audience are males aged 18-35, who actively bet on sports – new generation gamblers who use football data to inform them before they place bets online. Soccerway gives this modern football fan the information they want and need – the most in-depth fixtures, results, league tables and statistics. The platform is owned and powered by digital sports media business PERFORM and has been formatted in such a way to serve the ordinary football fan with in depth information on leagues, teams, venues, players, transfers and videos. They have a clear focus to empower fans by turning objective football data into meaningful insight. The Soccerway App provides lightning fast, reliable, live football scores direct to your phone. In particular it creates a personalised feed of your favourite teams and competitions from all over the world. At the same time you enable notifications to set real-time goal alerts to keep you in touch with the action. A key feature is that the Soccerway app offers personalisation so you can receive goal alerts on your favourite teams or games. If goal alerts are not enough you can also receive push notifications on line-ups, kick off, full time results and more! Soccerway also provides a historical feast of data for footy stats enthusiasts by providing comprehensive league tables and results archive for almost the last two decades. The founder was Dutchman, Arjen Robijn, back in 1994 and in the early days the title “World Soccer Page Network (WSP)” was used and provided limited coverage of football tables and results, news updates from FIFA, fantasy football, a message board and soccer URL links. From this basic beginning the concept of a comprehensive online worldwide football database evolved in the early noughties. A big step forward was the amalgamation of Arjen Robijn’s Soccerway with Riku Soininen’s International Soccer Server (ISS) in October 2003. After a decade of learning by doing and following each other’s work, the respective site managers decided it was time to join forces and combine all the good parts of the websites into the new Soccerway. The ISS had been started in early 1994 as a hobby of soccer enthusiast Riku Soininen in Finland who specialised in football results and tables. 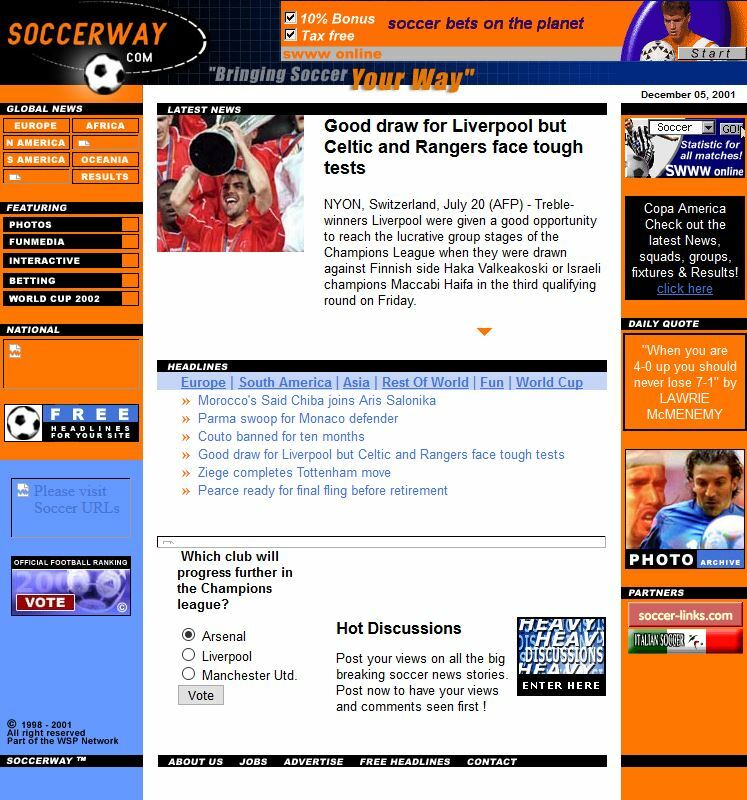 Soccerway subsequently grew from strength to strength, greatly improved its template along with enhanced league coverage, sponsored betting links and at the same time began selling soccer data and content. This in turn facilitated the growth of other football database websites and betting resource websites. Under the company banner Global Sports Media (GSM), the platform’s data became a key source for websites, magazines, newspapers and within other media on an international basis. ​In 2011 there was a further change when the Perform Group acquired the Dutch company Global Sports Media (GSM). The success story of Soccerway.com as a leading football information portal continues to focus on real time and historical football data and continues to grow under the Perform Group’s stewardship. A big thanks to Arjen Robijn and all the others who have played a key role with providing football fans around the globe with this wonderful worldwide soccer resource.